Take one capsule once or twice a day, with a meal. 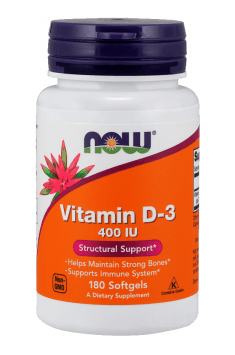 According to the data complied by EFSA regarding the dosing of vitamin D, its daily safe dose for adults is 4000 IU per day, while higher values (even up to 10000 IU per day) are recommended it case of i.a. pathological obesity and absorption disorders.